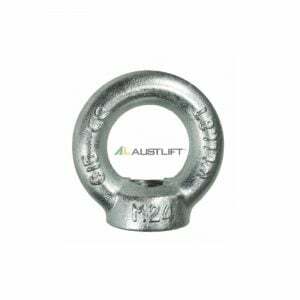 The eye nut is a key feature in any industry that involves lifting heavy material. They are the backbone to any vertical lifting apparatus and typically fasten the lifting chain or rope to the material being lifted. 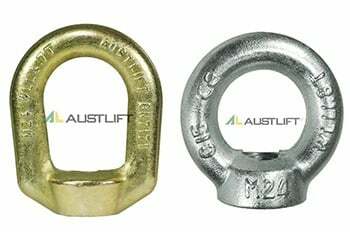 Choosing the right eye nut can seem like a maze because they come in all shapes and sizes and fit various purposes in the heavy lifting industry. All About Lifting & Safety, our professionals will guide you through the decision-making, simplifying the process and choosing the right eye nut for your needs. Eye nut material. Make sure when choosing an eye nut you prioritise a non-corrosive material to make sure the nut lasts and you get your money’s worth, e.g. stainless steel. Safe working load. When using an eye nut (for any heavy lifting equipment) you should never exceed the safe working load of the nut to prevent injury or damage to the equipment or staff. All eye nuts come with a manual which explains the safe working load the specific nut provides. Check it. You should visually inspect your eye nut before you begin using it to check for signs of damage. This can be fractures, holes or scrapes which can all weaken the integrity of the eye nut. Clean surfaces. Make sure the surface of the item you’re lifting and eye nut are dry, with no water, oil or other liquids. If the eye nut has even a speck of oil, the friction and thus the safety of the nut will be compromised. The eye nut is a brilliantly versatile and important heavy lifting accessory. Contact us today to find the right eye nut for your needs.